Luxury leather phone case for the iPhoneX with business card slot on the reverse. 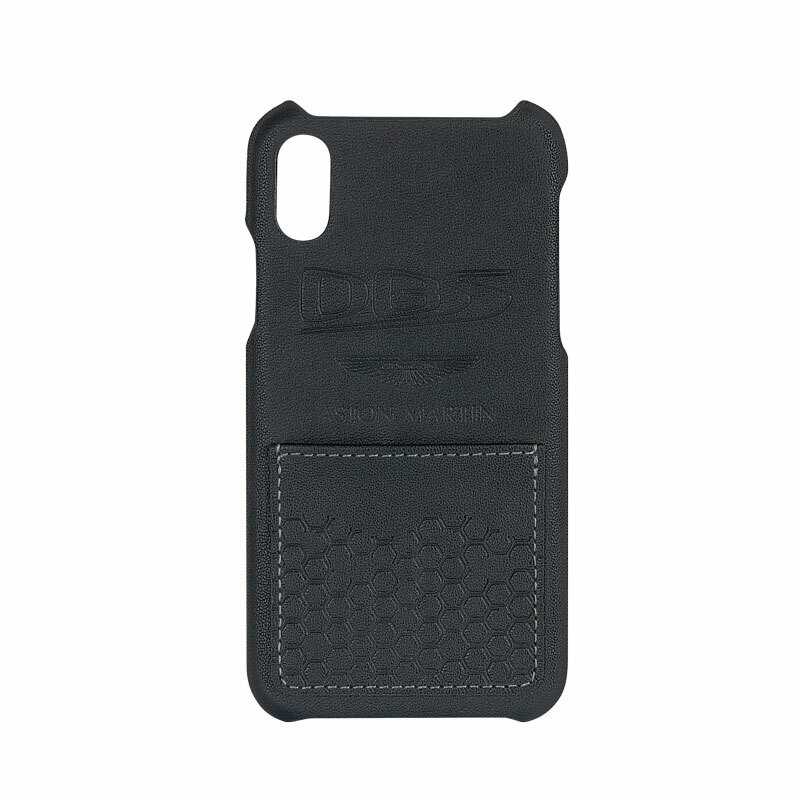 Embossed with the DBS logo and Aston Martin wings logo. Comes supplied in an Aston Martin gift box making it a perfect present for any Aston Martin fan. "LEATHER CASE IPHONEX DBS INCL. EMBOSSED DBS LOGO, BUTTON & GIFT BOX"
Related links to "Leather Case iPhoneX DBS incl. Embossed DBS Logo, Button & Gift Box"